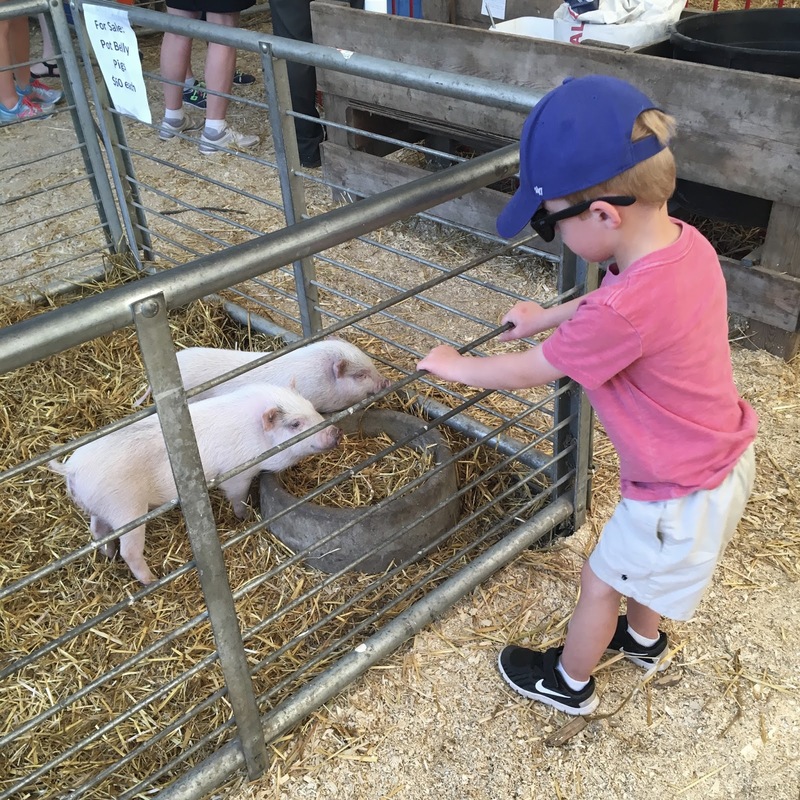 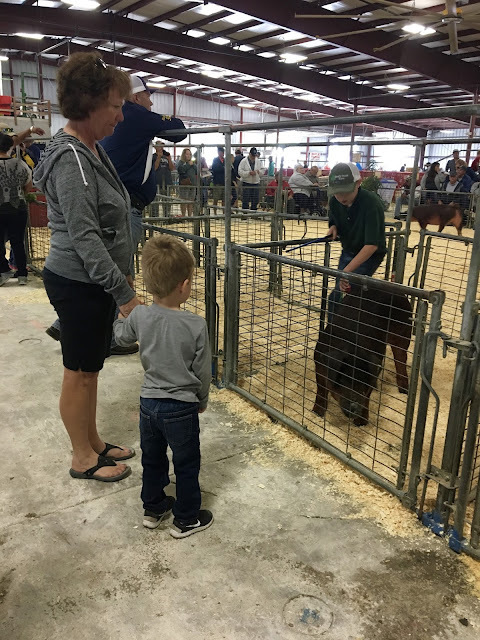 One of our annual favorite fall traditions is to attend the world's largest county fair...the Clay County Fair. Lucky for us, it is right down the road, and doesn't require much planning aside from making sure our stroller and a small cooler with snacks and drinks for the boys make it into our car. 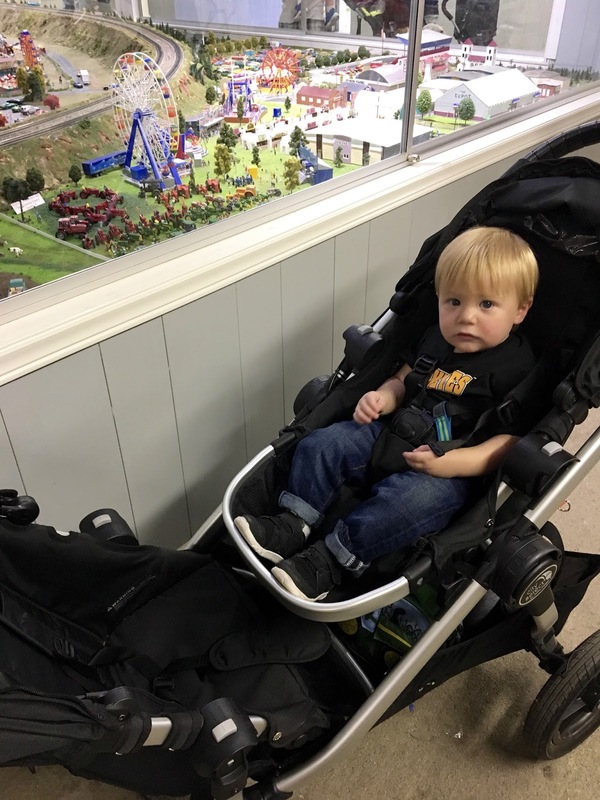 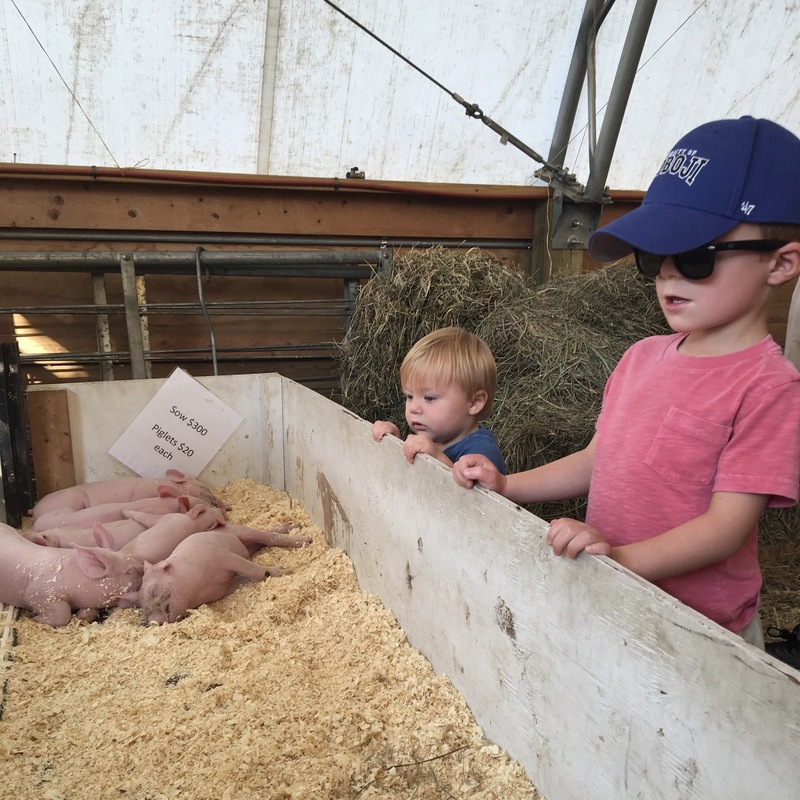 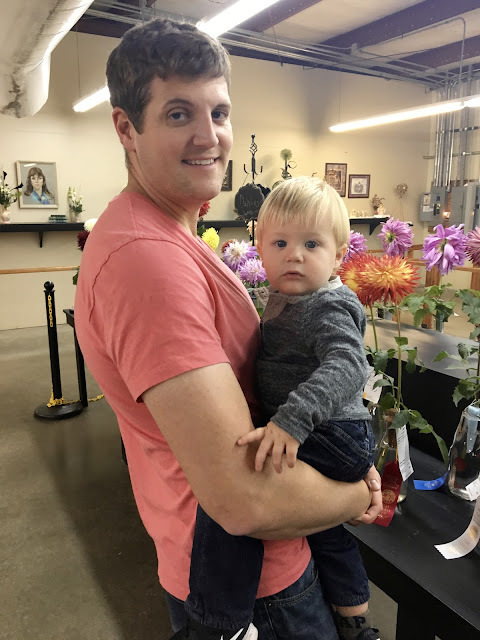 Of course, this means you can usually find us there several times during fair week :) This year's visits were so much fun because the boys both were really curious about everything going on, and loved getting out of the stroller to participate a bit more than in the past. C's fascination with all things train related was put front and center as the fair has an entire building, 'The Depot', with miniature trains and different scenes set up. 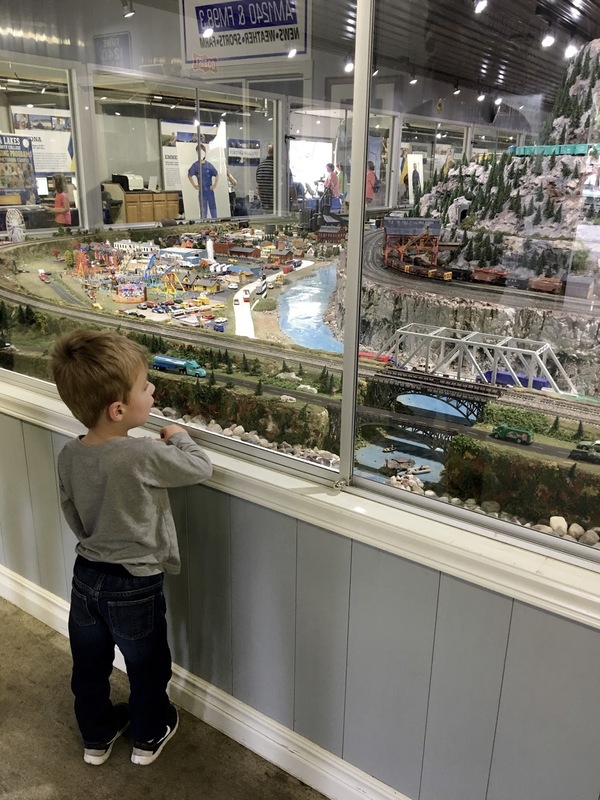 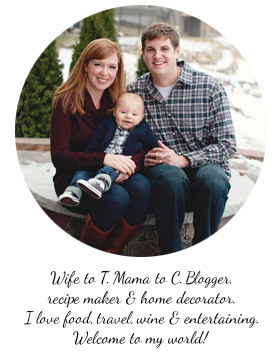 This year, he was particularly curious about the restaurant in the top of the space needle, and the snowplow trains in the mountains. G enjoyed the trains too, but for him, the animals were where it was at. 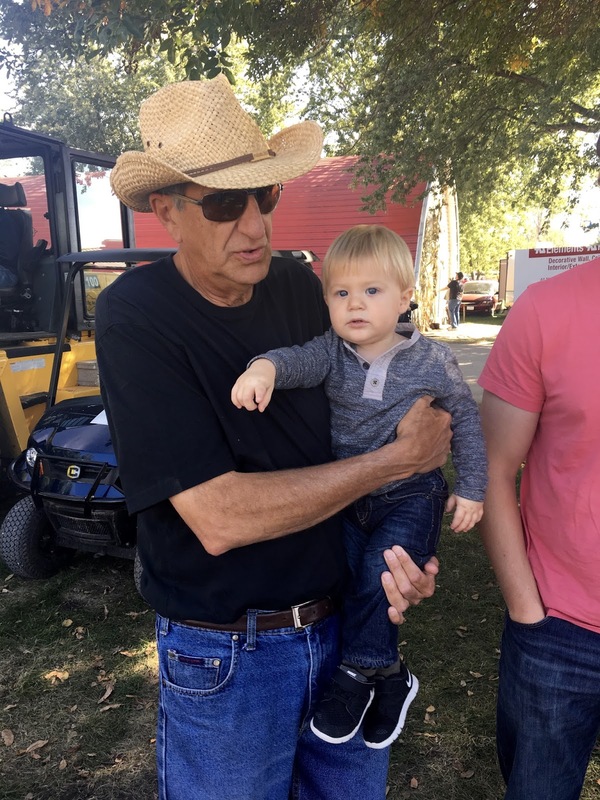 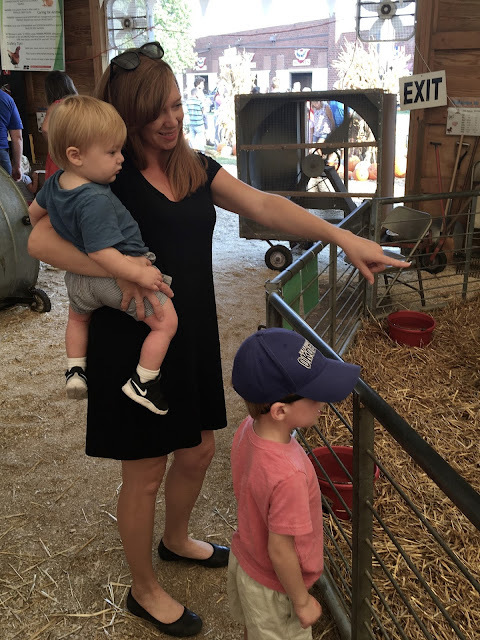 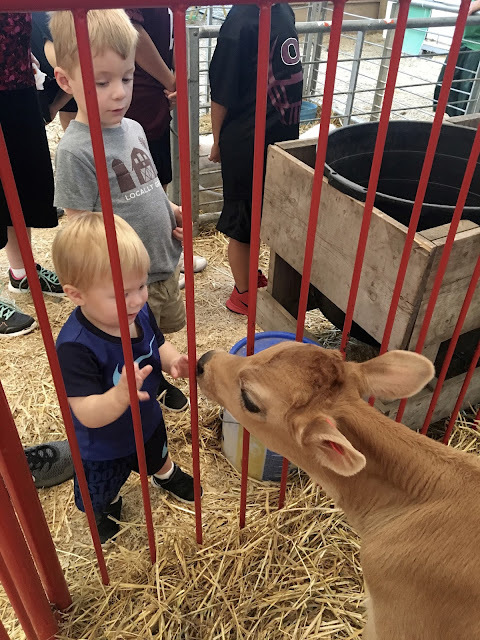 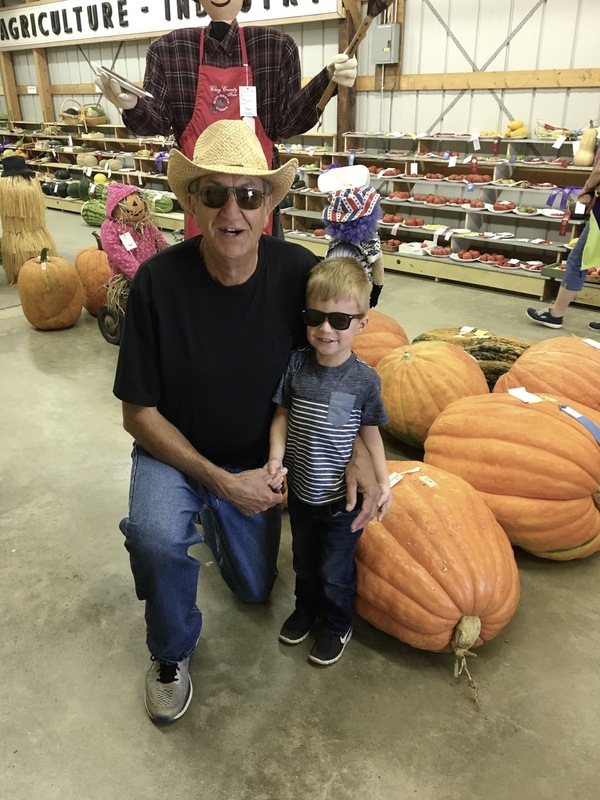 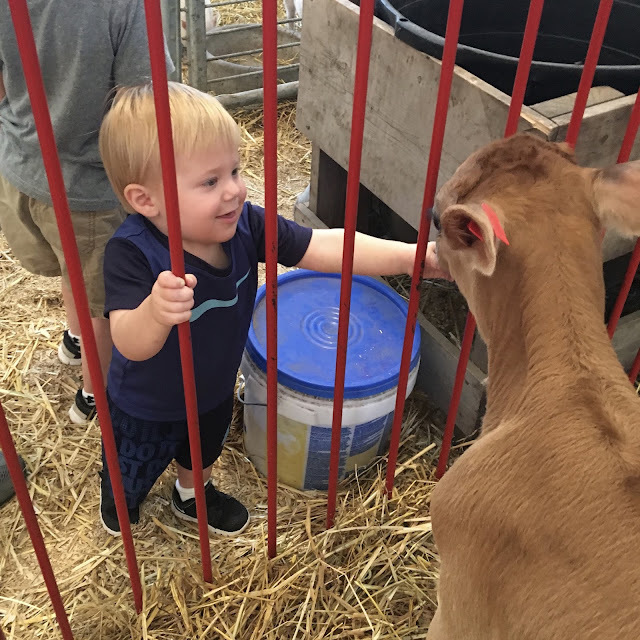 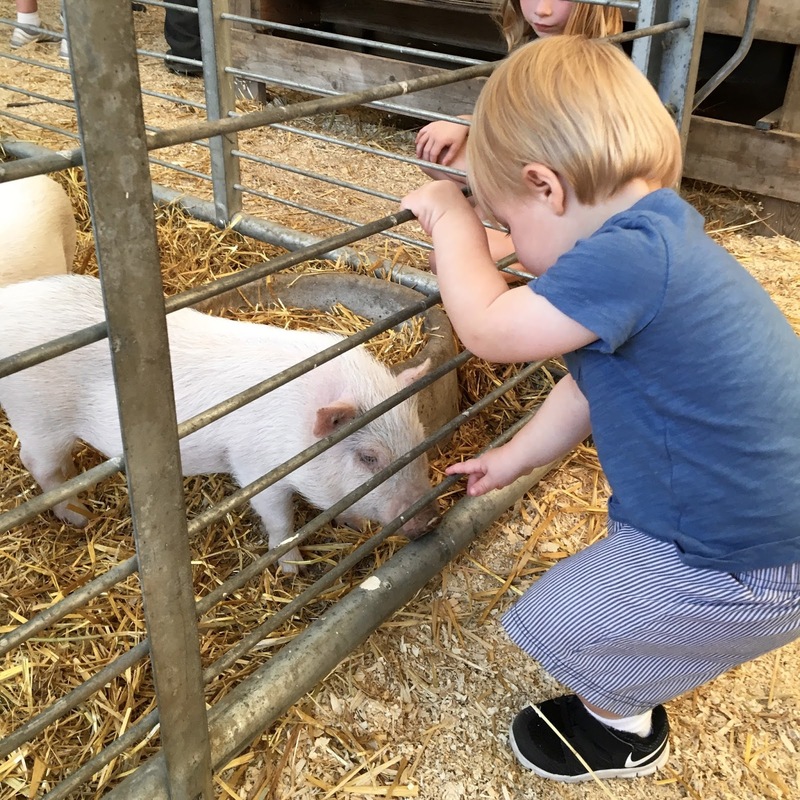 He LOVED visiting Grandpa's Barn, a barn catered towards kids filled with all sorts of baby animals, and had a few close encounters with the baby calves, who came right up to him and licked his hands. Another BIG highlight of this year's fair-going was spending some more time to watch some of the arena shows. 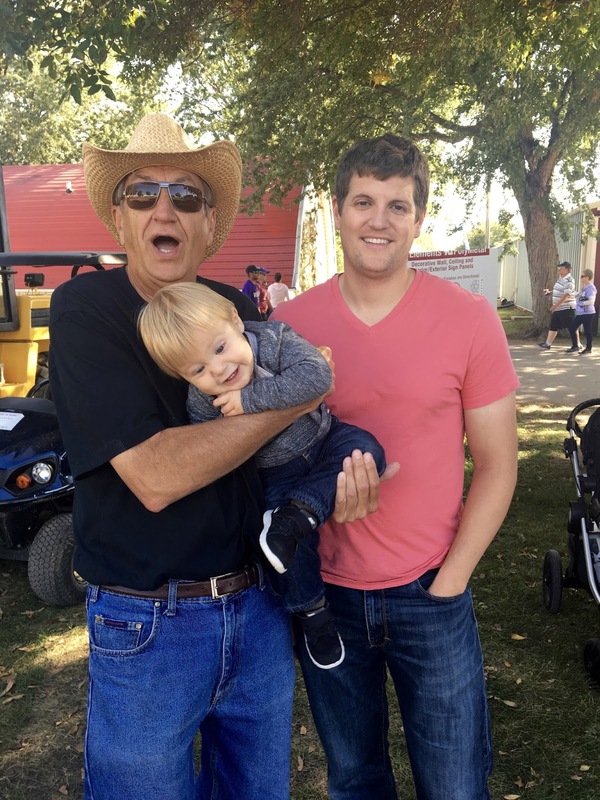 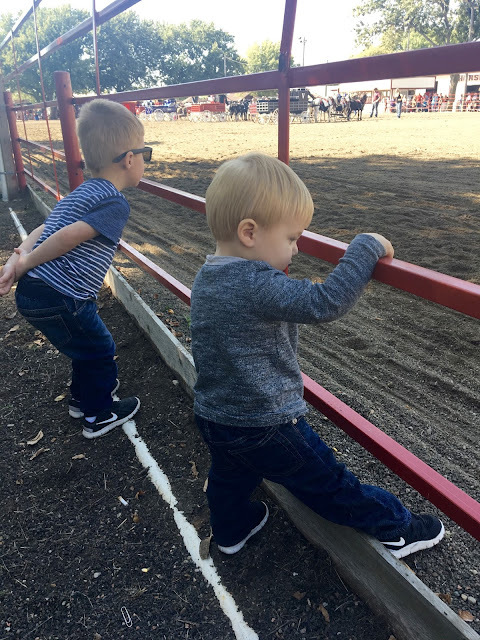 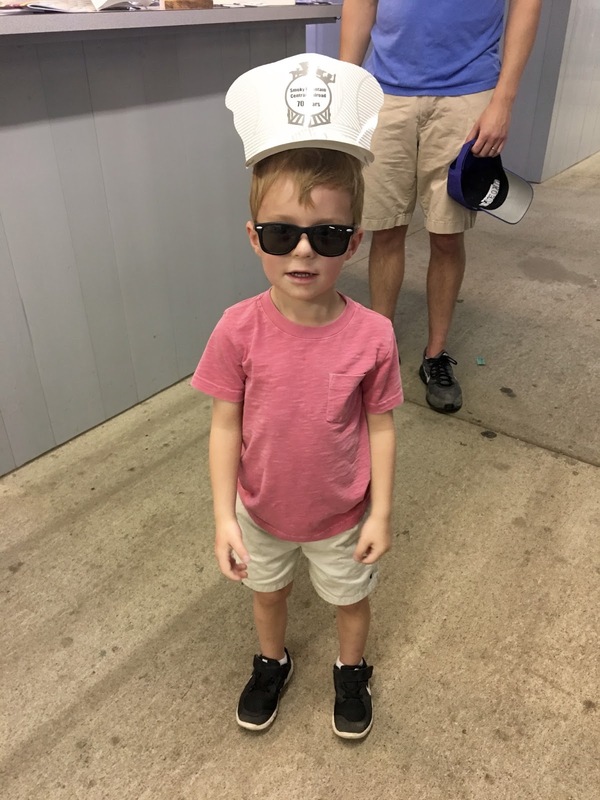 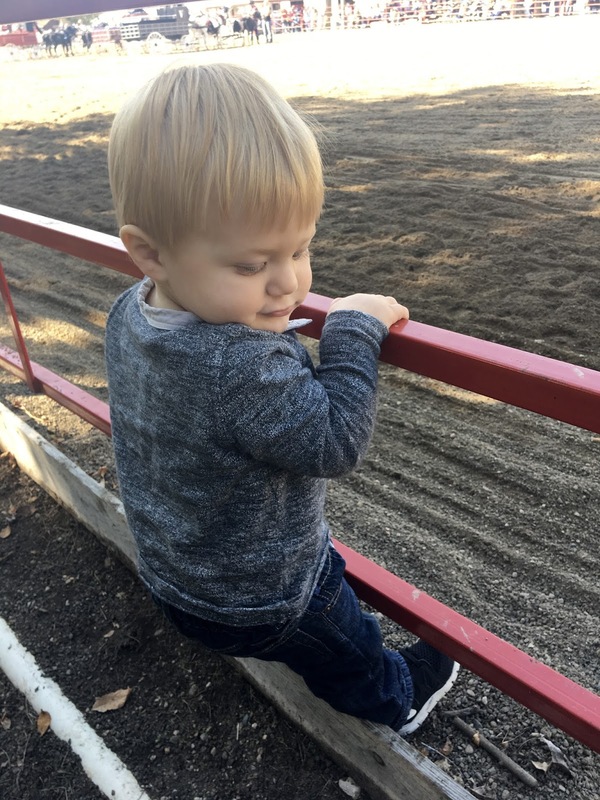 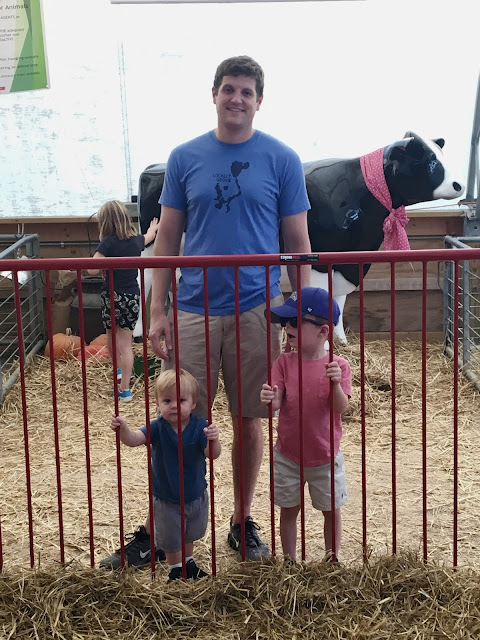 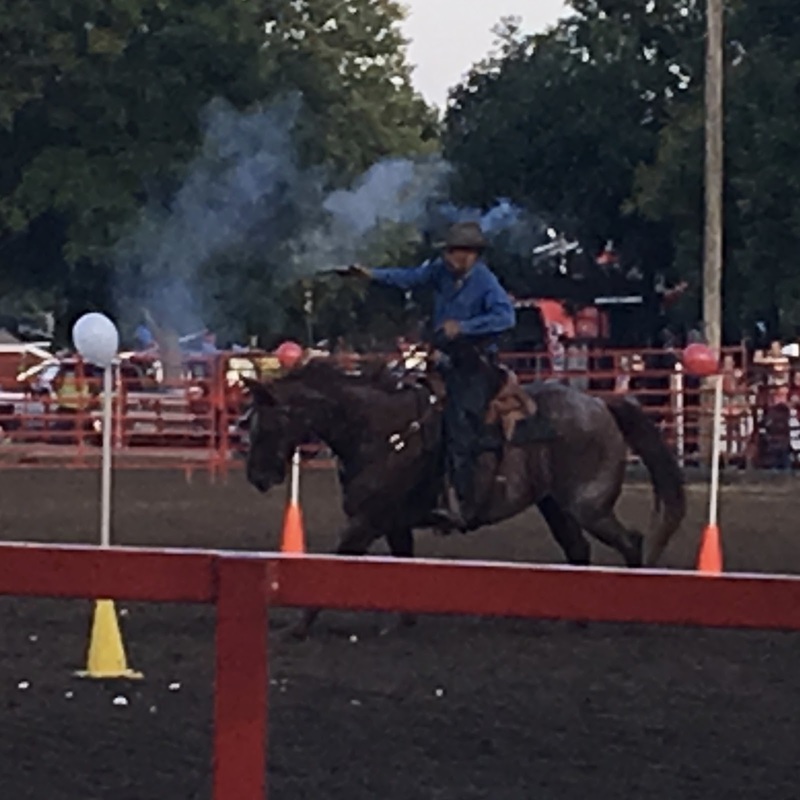 This year, the boys had so much fun watching cowboy mounted shooting (a timed event involving shooting balloons while racing through a cone obstacle course), and the horse-drawn carriage event. G could hardly contain his excitement, and tried just about everything he could in order to get into the arena! 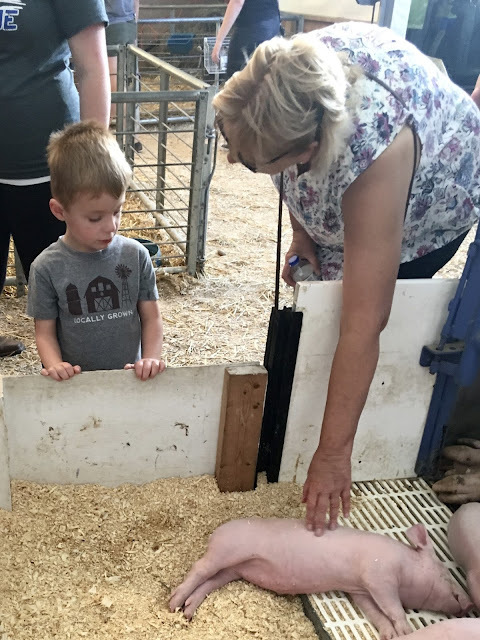 If he continues to be this excited about everything, we may have a future 4-H-er on our hands! 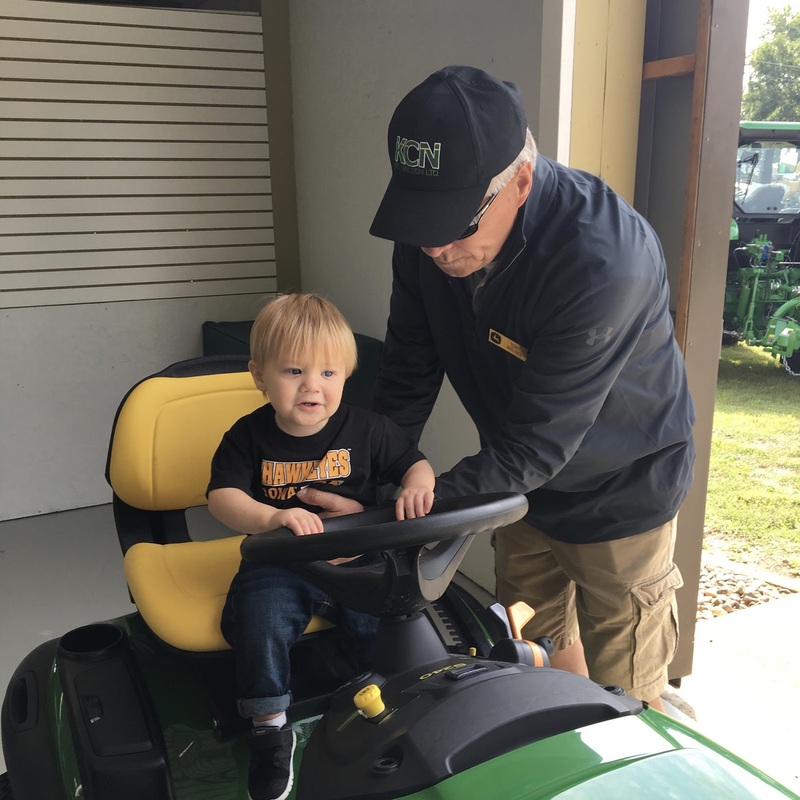 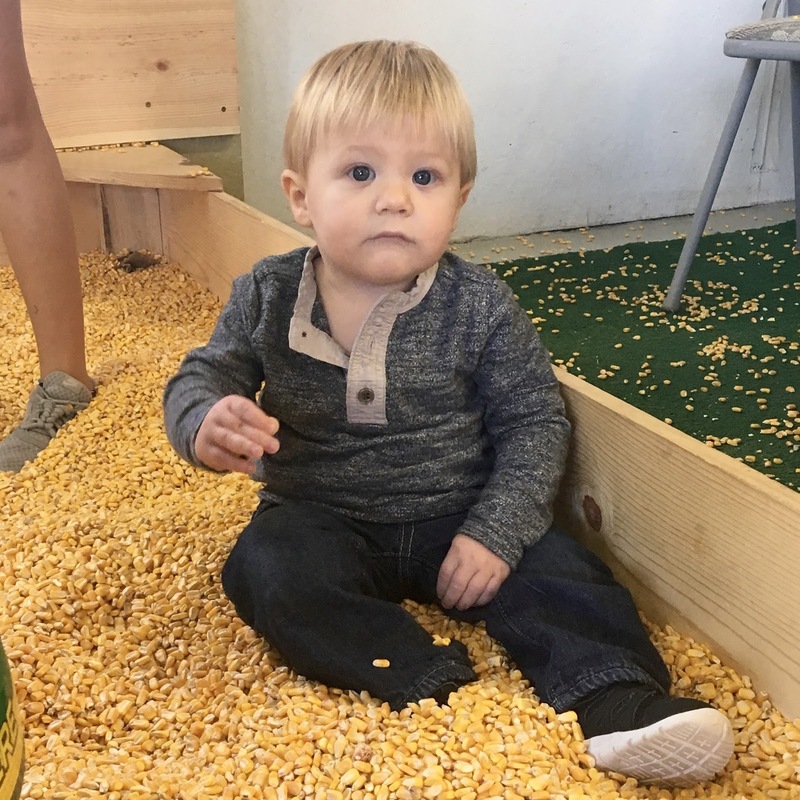 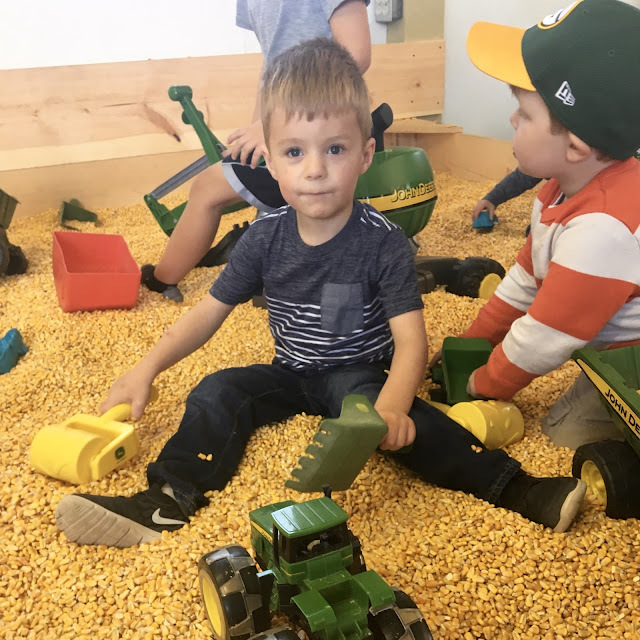 Other highlights included playing in the corn box at the John Deere Pavilion, driving tractors, sipping on an overwhelming amount of strawberry smoothies, and dragging both sets of grandparents all over the fair! 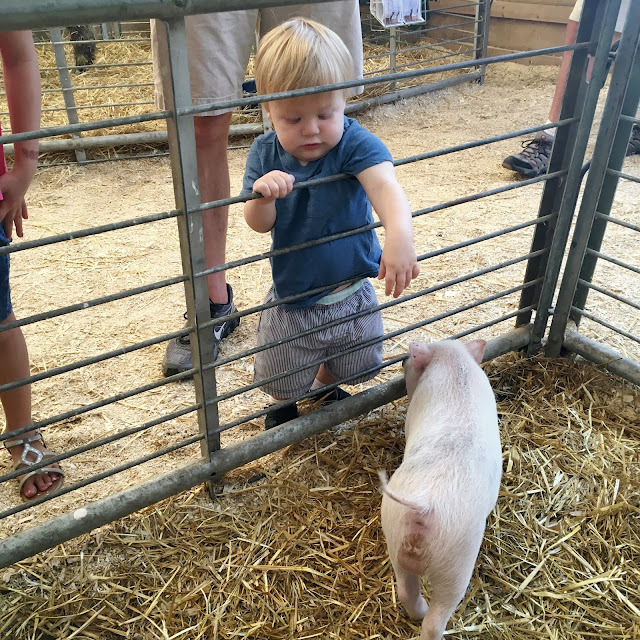 We had a great week at the fair, and look forward to visiting again next year!